Wife, mom of three grown kids and RN . I work with my husband Dr Riske MD at Foothills Primary Care, fixyourhormones.com in addition to personal training. My favorite clients are my over 40, 50, 60 something year olds who think they may ‘be past their prime’ and ‘it’s probably too late to get into amazing shape’. They are tired, worn out, discouraged by their growing waist line and just not sure how to get that vitality back they had in their younger years. 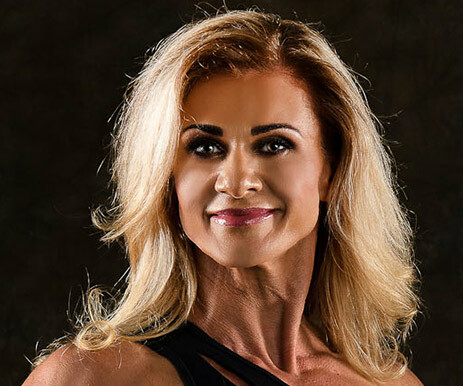 In my opinion, it’s never too late to get in the most amazing shape of your life and as someone who is 50, I understand the challenges as well as the possibilities. With a combination of great workouts, proper nutrition and hormone optimization, the results can be amazing. Personally, I’ve always been athletic and participated in some kind of sport but I really started getting into serious shape five years ago when I was introduced to the NPC competition world and started training at Pro Physiques. This past summer, I was so blessed to reach a huge goal in this fitness journey and earn my IFBB Pro card in Physique. My advice is, never give up. You are never too old to get into amazing shape. I hope thru my path, others are inspired to move forward and reach for awesome fitness goals. Start today, Eat right, work out and check us out and Pro Physiques.